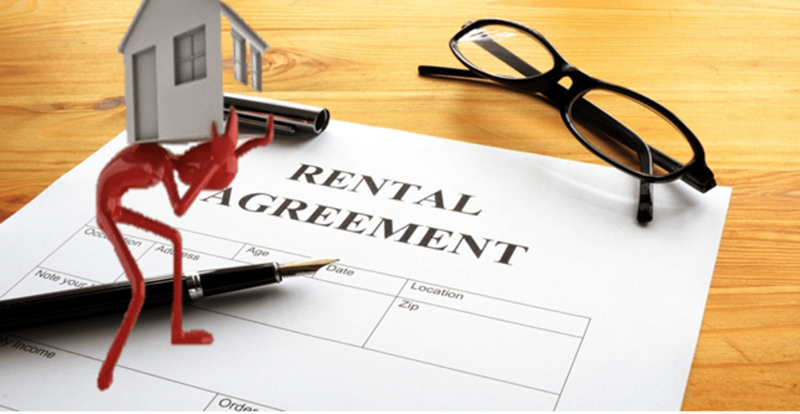 5 Key Things Most Landlords Forget to Add to the Lease | RG Realty Inc. It is an extraordinarily tough job being a landlord, but with some precaution, most landlords will be able to cut out many of the problems stemming from a poorly written lease before the tenant even moves in, simply by making sure to put in certain snippets that ensure they avoid a headache. Many of these bits may seem obvious, but without exact wording of real estate lingo, a mistake could be made that will cost landlords money in court. Here are the top pieces of language you need in your lease agreement, as well as some samples, to help protect your rights as a landlord and your investment. All leases should have charges or fees in the case of the rent arriving late, both as a form of deterrent for bad tenant behavior, as well as to help cover the costs associated with a late payment. Unfortunately, many tenants find late charges to simply not be as crucial as the rent itself, and if they don’t pay them, it is up to the landlord to collect. In many cases, it is not enough to evict a tenant for not paying a late payment, as long as they pay the rent. By ensuring you put into your lease that late fees will be charged as a form of additional rent, you are then able to have an extra sense of security that the law is on your side in the case a tenant does not pay the charges. This legally enables you to treat the late fees as a form of rent, which means that if a tenant does not the charges for being late, you can serve an eviction notice. In most cases, you wouldn’t want to risk a vacated property over a small late fee; however, this usually only serves to give a tenant the motivation to pay the small late fee when confronted with the possibility of eviction. Also, this ensures you are able to collect late fees in court if the situation comes to that. 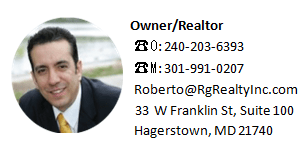 Time is of the essence of the agreement and if landlords elects to accept the rent after the first day of the month in which it is due, a late charge of $10.00 per day will be due as additional rent. Sometimes, tenants abandon properties without payment. Other times, you may take them to court, only to not be able to collect what you are owed. By putting a small snippet into your lease that mentions that in the case of non-payment, your tenant can be reported to a credit agency (which is both legal and easy for landlords to do), you are then able to report your tenant for non-payment of rent. (Doing this without notifying the tenant in the lease will not go in your favor in court, however.) While this does not guarantee you getting your money back, it does put a ding on the tenant’s credit report that will alert creditors to the tenant’s poor payment history. In order to get any sort of loan, they may feel obligated to make good on their debts to get those credit hits removed. In those cases, you are paid the money that normally would have been lost forever. Tenant is hereby notified that a nonpayment, late payment, or breach of any of the terms of this rental agreement will be submitted/reported to a credit and/or tenant reporting agency, and may create a negative credit record on tenant’s credit report. All landlords know what a security deposit is, but not all know how to properly protect themselves when it comes to representing it in the lease. Ensure that you clarify that a security deposit is not to be applied toward the last month’s rent, so that a tenant cannot claim you can simply “keep” the security deposit while they leave the property without a last month’s rent and potential damages. Also, ensure that you maintain that the security deposit will be returned to the tenant within 30 days of unit vacation and having the keys returned. The property should be completely and fully returned back to you before you begin your calculations of the security deposit, because if you don’t receive the keys to the property, you will need to take the new lock costs out of that deposit. The security deposit shall be refundable within thirty (30) days after the unit is vacated, keys returned, and the lease term has expired, or an agreement to terminate the lease by both parties. To receive the security deposit back, all monies due to landlord must have been paid by the tenant, and the unit must not be damaged and will be left in the original condition as when tenant received at initial lease agreement. Let’s say you have a tenant who is late a few months out of the year, but they usually pay by the third, and instead of vacating the property, you would rather have a filled property with rent that is a little late each month. Let’s also assume you charge a late fee, and let this person slide one month because of a rare reason. (Most landlords try to avoid this altogether, but reasons exist.) In court, usually this tenant would be able to claim they do not owe you a charge you are claiming, because you have let them slide before, so there was no expectation of payment. By inserting a no waiver in your lease agreement, you cut out this possibility in the case of court. Landlord’s acceptance of rent with knowledge of any default by tenant or waiver by landlord of any breach of any term of this agreement shall not constitute a waiver of subsequent breaches. Failure to require compliance or to exercise any right shall not be constituted as a waiver by landlord of said term, condition, and/or right, and shall not affect the validity or enforceability of any provision of this agreement. Oral agreements can be anyone’s worst nightmare in a court-of-law. It is literally a case of he said she said, and regardless of who is in the right, the judge will have to make a decision based on little evidence. By adding a section in your lease prohibiting oral agreements, you then have a binding contract with the tenant’s signature that tells the judge in court that any oral agreements brought up by the tenant or yourself can no longer be admissible. This can be crucial to winning a case in court, as long as you are operating as an honest landlord. Just be sure to stick to your lease and make all of your lease changes or property updates in writing. This agreement constitutes the entire agreement between landlord and tenant. No oral agreements have been entered into, and all modifications and notices shall be in writing to be valid. In conclusion, while being a landlord may be strenuous work at times, it can also be relatively stress-free, as long as you have a lease that is up to task as well as honest tenants. Since choosing tenants for your property is never as easy as a first impression, these five sections in your lease will become the extra security you need to sleep well at night.